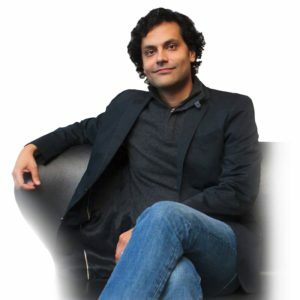 Cultural Catalyst & Global Keynote Speaker, Ravi Unites, Inc.
Ravi Hutheesing is a cultural catalyst and global motivational/keynote speaker empowering businesses, educators, and over a million people throughout the Americas, Europe, Middle East, and Asia. The first American born member of the family that created and governed the world’s largest democracy for over 40 years, Ravi is the grand-nephew of Jawaharlal Nehru (India’s first Prime Minister), the nephew of Indira Gandhi (India’s only female Prime Minister), and the cousin of Rajiv Gandhi (India’s youngest Prime Minister). Ravi began serving as a cultural diplomat for the US Department of State in 2015, giving presentations on entrepreneurship and youth leadership in Russia. In 2016, he went to Indonesia—the world’s largest Muslim population—and created songwriting and cultural entrepreneurship programs that bridged the most severe cultural and religious divides, and in 2017, he created similar programs in Iraq and Lebanon which included students from Mosul liberated from ISIS just days earlier, and Syrians from the decimated city of Aleppo. Ravi’s worldwide visibility skyrocketed as the guitarist for triple Grammy nominee, Hanson, whose massive fan base of the earliest millennials catapulted him to the stages of the White House, Madison Square Garden, Tonight Show, Good Morning America, and Saturday Night Live. Simon & Schuster published his memoir, Dancin’ with Hanson, and he has authored over a hundred articles for major magazines. He also a singer-songwriter, has created multiple instructional video courses for musicians, and has spoken globally on behalf of the music industry giving presentations at conventions including the National Association of Music Merchants in California (2004-2014), MusikMesse in Moscow (2014), and Music China in Shanghai (2014). Ravi was born in Washington DC to an Indian father and German mother, and grew up in the suburbs of New York City after his father became one of the first Indians to work on Wall Street. His two older brothers followed in their father’s footsteps becoming investment bankers while Ravi forged a path of his own.